I'm diving headfirst into the fight against Alzheimer's disease! Diving headfirst into the fight against Alzheimer's disease! 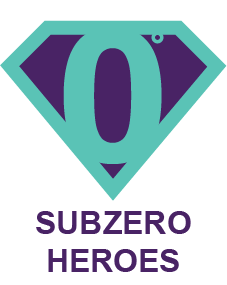 Subzero Heroes is the Alzheimer's Association's annual jump into a frozen lake. This year we are expecting over 500 individuals to attend the event and are expecting to raise an astounding $60,000! The more money that each Hero raises, the closer he or she will be to the front of the line- which means less time shivering on the shoreline! Company Barone Construction Group, Inc.
Company Highland Hose Company, #1, Inc.
Company Minard Farms Beverage Co. Inc.
Company Pavero Cold Storage Corp.